Not all questions were answered by these studies, though. It is not often remembered that, in total, only about 300 patients were involved, which could raise questions about the generalizability of the findings. More importantly, the criteria for prescribing oxygen that we use today are based on the entry criteria for these two trials, mainly that arterial PO2 was consistently less than 55 mmHg at rest. Yet this criterion was largely arbitrary and the question has lingered as to whether patients with less severe hypoxemia or those with hypoxemia only on exertion would have similar long-term benefits. The National Heart Blood and Lung Institute of NIH held a workshop on oxygen therapy in 2004. What resulted was a request for proposals for a long-term oxygen therapy trial (LOTT) to clarify prescribing indications for home oxygen therapy. Fourteen regional centers were selected to design and perform this trial. The initial plan was to study about 3200 COPD patients with moderate resting hypoxemia (pulse oximetry between 89 and 93%) and to randomize them to full-time oxygen (during rest, ambulation and sleep) or no oxygen. Within a year of study initiation, though, it became apparent that 3200 participants was an unrealistic target. Expanding the inclusion to incorporate subjects with desaturation only during exercise and changing the primary outcome to death or all cause hospitalization allowed the sample size to be reduced to about 750 participants. The first subject entered the trial in 2009 and the last left in 2015. The results were published in October in New England Journal of Medicine. The results weren’t subtle. There was no evidence at all that the group receiving long-term oxygen survived longer or had fewer hospital admissions…or had benefits in other outcomes such as health related quality of life. These results are rather profound, but can’t be taken without some contemplation. First, oxygen therapy in this group may have other benefits, unmeasured in the LOTT study. For example, dynamic hyperinflation during exercise has been shown to be reduced in this patient population leading to reduced dyspnea on exertion and enhanced exercise tolerance. Second, a failure to find benefit could conceivably be related to failure to intervene: if subjects assigned to long-term oxygen failed to use it regularly, they could hardly be expected to benefit. The LOTT investigators instituted an aggressive program of adherence promotion in those assigned to oxygen. Participant self-report tended to confirm that oxygen use was substantial in the majority (and a comparison of stationary concentrator meter readings with self-report in a subset was somewhat reassuring), yet room for discussion persists. If the results of the LOTT study are accepted, they have important implications. I’ve observed that many patients receiving home oxygen therapy do not have severe desaturation at rest. One reason for this may be that COPD patients often have oxygen therapy initiated during a COPD hospitalization; it is often not withdrawn when, at home, the patient’s lung function (and oxygen saturation) improves. Would it be reasonable to institute more strict recertification procedures? What about ambulatory oxygen? This is the most expensive component of oxygen therapy. Yet the vast majority of patients use ambulatory oxygen for only a small portion of the day. A debate regarding the balance between the benefits of reduced dyspnea on exertion and the apparent lack of long-term benefits might be appropriate. LOTT has provided important information about a critically understudied component of our therapeutic approach to COPD. As with any good clinical research study, LOTT has answered some question but has raised others. 1. The mean time of subject participation was 18 month (hardly enough to assess long term effects) and while some participated for 5 years, this means that more participated for far less than the 1.5 year avg. 2. The avg BMI of subjects was 28.4 There were 0 subjects with a BMI <22. This means there were no underweight emphysema patients studied. 4. Over 73% of the subjects were male although we know females tend to progress faster. I appreciate Mr. Bender’s comment. All of the issues he raises are valid observations, but not necessarily “problems”. All clinical trials must be interpreted in light of the characteristics of the subjects who were studied and in light of the study design. It is relevant that subgroup analysis (e.g., men vs. women, high vs. low FEV1) failed to identify any subgroups that reaped benefit from the intervention. This study was designed to look at RESTING moderate hypoxia. The conclusions drawn about a group added midway through (exercise induced hypoxia) must be interpreted with skepticism. When a major phenotype of the disease is excluded entirely (underweight BMI <22) and subgroup analysis doesn't differentiate between original study subjects and amended study subjects (who were studied for much shorter terms) such analysis becomes much less relevant. The fact that this study was amended midway and even then less than 25% of the number of subjects in the original design were recruited (738 rather than 3000) makes the smaller numbers in such subgroups and the much shorter observation time of those added subject to greater statistical error. We are still awaiting the results of analysis of the coronary and cognitive health of the subjects but one must wonder why the study was released now, rather than allowing all subjects to be studied the full five years and all facets of the subjects health analysed. Out of the hospital, now that I know the signs I have not been in hospital for six years! I know there is no cure, just would like to know what stage I am in as I can no longer do most things I use to do and am getting weaker as far as ex: lifting a gallon of milk . 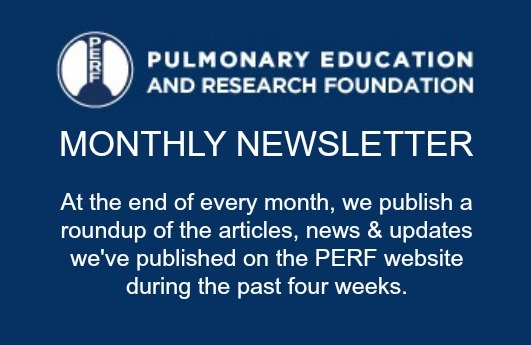 Thank you for all your information, I have learned more about COPD from Dr. Richard Casaburi PHD, MDand this website than any where else, by reading the monthly PERF newsletter and watching the videos!! Thanks very much for writing, and for your kind words. In COPD, the “stage” is determined by spirometry. A spirometer is the machine you blow into that determines how fast you’re able to blow out…how much air you’re able to blow out in one second. In stage 4, the amount of air blown out in the first second is 30% or less than would be predicted for a healthy person of similar age, height and gender. Pretty bad, but some people can function pretty well despite this. The trick is to keep active. The other trick, that you’ve apparently mastered, is to keep from getting sick; six years without a hospitalization is a good thing! Best wishes for a healthy and happy 2017.